A questionnaire examples is a type of survey designed for gathering necessary information from a group of people usually known as respondents. Questionnaires may be qualitative or quantitative depending on the questions. Questionnaires often ask different types of questions; the most common types are open-ended and close-ended questions. Developing good questionnaires which would gather a good response rate is a dilemma researchers often worry about. Researchers need to consider many things in developing questionnaires, especially because they have to deal with different kinds of respondents. Some respondents may be sensitive to some questions, which makes preparing questionnaires quite tricky and difficult. What Is a Research Questionnaire? A research questionnaire is a type of questionnaire intended for research purposes. 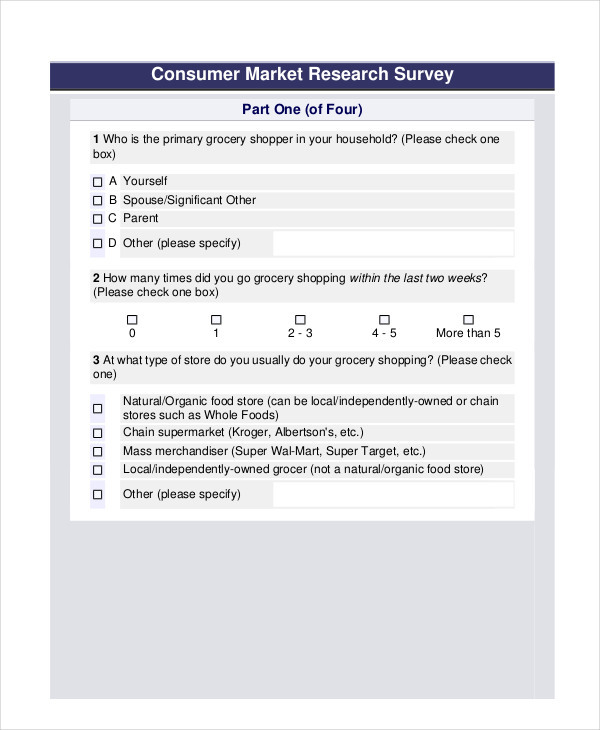 Research questionnaires are usually printed to a large number of respondents in a certain area. A respondent answers each question depending on the instruction given. If a research survey questionnaire asks open-ended questions, the respondent may give a detailed answer based on his/her knowledge of the topic or issue. 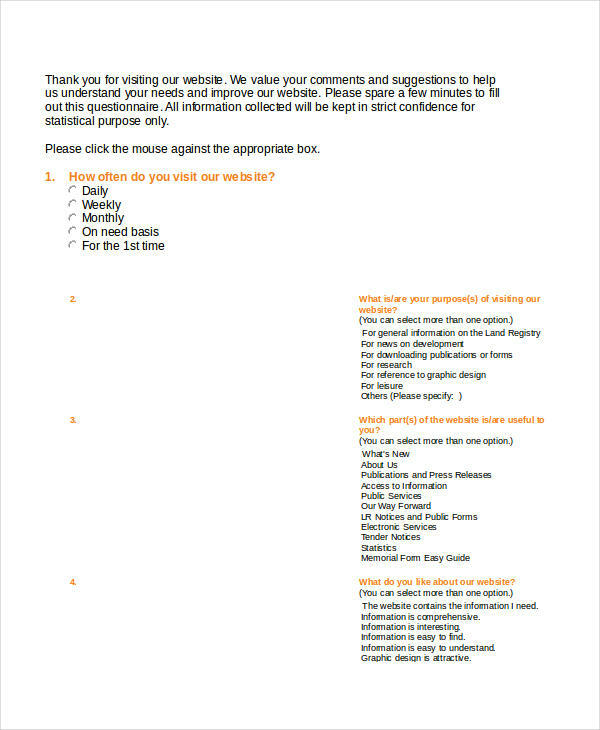 If a research questionnaire contains close-ended questions, respondents are required to choose an answer from a certain number of choices given for each question. You can observe these in some questionnaire examples in PDF format found here. 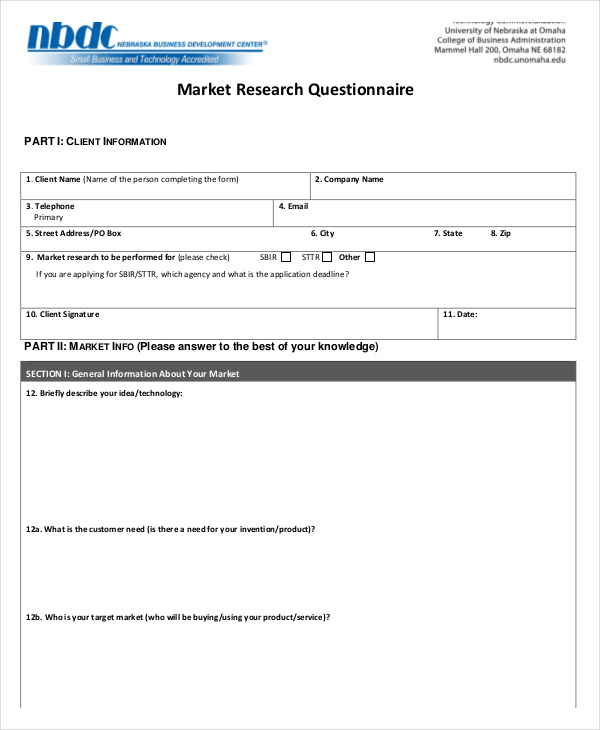 Research questionnaires are essential tools used in the collection of data for the research. Research questionnaires often intend to ask for a respondent’s opinion on a certain topic or issue. With this, the researchers may be able to obtain the respondents’ attitude, opinions, and insights about their research topic. Aside from this, research questionnaires are important when researchers intend to quickly gather data from a large number of respondents. You can refer to interview questionnaire examples if you are having a hard time formulating your questionnaire. Researchers desire a high response rate. Low response rate may affect the results which may end up affecting the validity and credibility of their research. Thus, it is necessary to design a questionnaire that encourages a good response from the respondents. Know your objectives. Determine what you want to accomplish by conducting the survey. Determine the type of question. Choose the best type depending on the data you want to gather. List down necessary questions. Write all the questions you need answered. Keep it organized. If you are using two or more question types, group them in one section. Sensitive questions may be asked at the end of the survey. They may also be grouped with neutral questions. Choose a method of delivery. 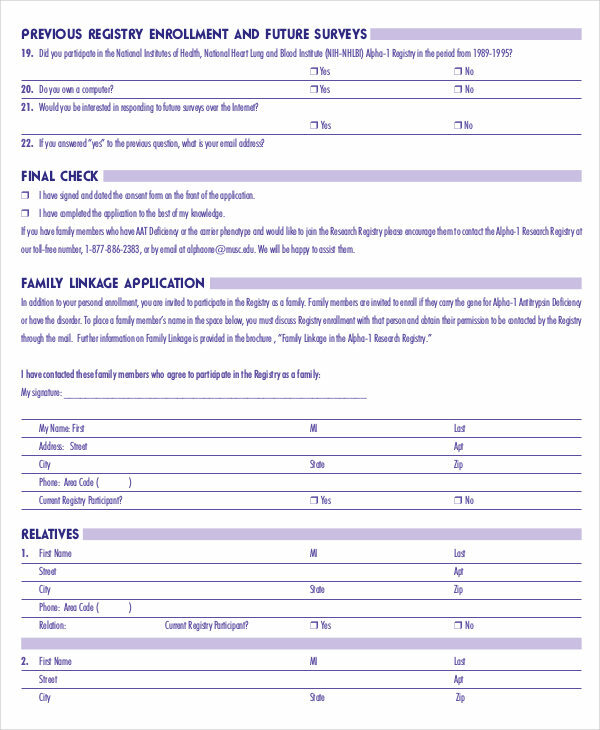 Questionnaires may be delivered through mail or electronic message. You may also conduct a phone survey or in house survey (one-on-one survey). Guide the respondents. Explain the importance of the survey and what you intend to do with their answers. Make it short and simple. Questionnaires don’t need to be too long to collect the needed data. Review and revise as needed. Make sure you have everything you need to ask the respondents, and omit questions which may not be appropriate or necessary. Do a pilot survey. Distribute the questionnaire to a small group of people before delivering them to the actual target respondents.